Are Broken Links Damaging Your SEO? 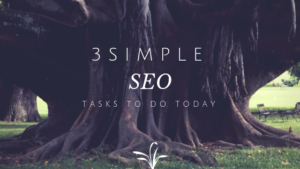 Today we are sharing 2 basic SEO tips that you can implement today. Both of tips are to do with links, both outbound and inbound and they will help to improve or complement your current SEO efforts. 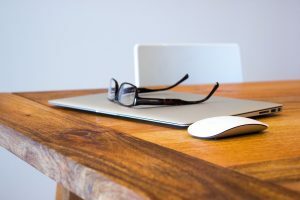 You may find you already know these tips, in which case you can use them as a reminder to take care of some of the SEO housekeeping that often gets forgotten about or pushed under the rug. Follow these 2 SEO tips if you want to see improved SEO results in 2018. You’ll be amazed at how quickly broken links can get way out of control. Even very young websites can end up with hundreds of broken links within the first few months of life. If your website is years old there’s a good chance that you will have hundreds, if not thousands of broken links littering your site and damaging your SEO. Broken links are caused by many different things. Perhaps the website is no longer live, or the page you were linking to has been removed or taken down. Sometimes other links are redirected, or they were possibly bought by someone else and used for other purposes. You may have loads of broken links, but you might also be pointing to sites that are no longer relevant and even containing content that is bade to associate with. Scanning an entire website for broken links can take a very long time. Thankfully, there are tools you can use to scan your site for you. However, you may still need to remove or repair each one manually. Once you have cleared your site of broken links, we recommend performing a broken link check each month as part of your routine. The next step is to check the internal links on your website and make sure they are all linking to where they need to be. Often, websites will evolve and change, leaving a whole host of broken links behind. These broken internal links are not as bad as outbound links, but they’re not good news either. Clean up your internal links and ensure you go to the right place. Remove any broken ones and replace them with working links to benefit your SEO and keep visitors to your website happy with their experience. Need help with SEO in Worcester? Give our office a call or send an email and ask us about our various SEO services.